If you’re ready to experience what a sports car can deliver in an SUV chassis, simply apply for financing online. We’re here to help Minneapolis drivers find agreeable financing or leasing terms. 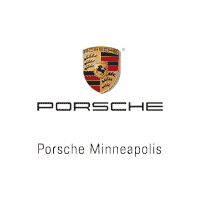 There are plenty of reasons why drivers from Wayzata to Rochester choose Porsche Minneapolis for their luxury car buying needs. For one, we’re conveniently located off I-394. Second, we’re committed to helping the Twin Cities community; that’s why we’re charitably affiliated with St. Jude’s. But beyond our convenient location and our community involvement, we strive to offer great deals on some of the hottest European luxury vehicles on the market. That’s why we offer plenty of national lease deals, local lease deals, and used vehicle specials. Ready to lease or buy your next European luxury SUV? Compare the Cayenne to the Macan, and then complete this easy-to-use and secure contact us form. Our friendly staff will be in touch with you shortly.